I just love event and party planning. I love the themes, ideas, invitations, decoration and entertainment. Over the years I've lost count of the parties, corporate events and conferences I've organised (or helped organise). In many ways, I often enjoy the process more than the party itself! All events - from small dinners to weddings, come with their stresses and pressure points. Accept that and plan everything as early as you can. Organisation comes with the territory, but here is a summary of how I plan events and hope to avoid any unnecessary upset along the way. - I usually have a few ideas in mind long before the time comes to start planning but if all else fails, turn to the internet. Check out Pinterest or party blogs and sites like Catch my Party, Kara's Party Ideas and Wedding Chicks for inspiration. - I like to get all my ideas down on paper. I record them in my notebook, usually starting with a brainstorm of all the points to consider (more to come on that in a bit). Then I can refer back to them whenever I need to. - Budget is the most important aspect to consider at the outset. Anyone can pick an arbitrary number out of thin air, but to set a realistic budget I like to do a bit of research. This will helps set my limits and expectations but doesn't mean that I can't aim high even if I'm on a small budget. - When budgeting, I find it best to prioritise what I want at the outset. That way I can decide where to splurge and where to save. - I like to set up a spreadsheet for recording my budget, projected spends, actual spends and another tab set up for a guest list tracker. You don't have to, but if you're savvy with MS Excel then it makes sense because then you have all the information to hand for invitations, catering numbers and spending. - I may not need all of these aspects (no cake at a work Christmas party, no transport at a children's birthday party) but having this list means I don't miss anything off. - I decide on the date and then book the venue. I always make myself aware of the terms and conditions and any cancellation policies and put any deadlines in the diary at this point. I'll also plan a rough timetable so I can let suppliers know when deliveries can be made or items collected. - I always contact suppliers at the earliest opportunity. The more you can get done in advance, the more time you'll have to fix things if anything goes wrong. More time means less stress - you don't want to be hunting down party balloons on the night before the event! - If I find a supplier I like then I'll use them over and over again. It means a lot to find a person or company you can trust to get it right. I'll even cross over and use them in different areas - I called upon my wedding florist to provide the table centrepieces for a medieval banquet and they were beautiful. - Event times depend on the type of event and day of the week. For young children's parties I would recommend late morning because then you're more likely to avoid nap time conflicts and over tired kids. For work parties try for a Friday night to avoid hungover colleagues in the office the next day. - I usually try to consider standard meal times. If I'm not providing a full meal in the evening then I think it is kinder to guests to allow time for them to eat before arriving! No need to drink on an empty stomach! - I always schedule an end time. Everyone has their limit. Children's parties can be kept to a couple of hours (depending on age) before everyone (including me) ends up in an overtired, overwhelmed and over-stimulated meltdown. - I decide on my guest list early on. Sometimes it'll depend on the venue or sometimes I'll choose my venue to fit my guest list. If I'm limited on space then I need to keep this in mind early on and not get carried away. - I like to design my own invites, usually pulling ideas from different sources and using simple to use websites like PicMonkey or Canva. - I'm also a big fan of Zazzle. 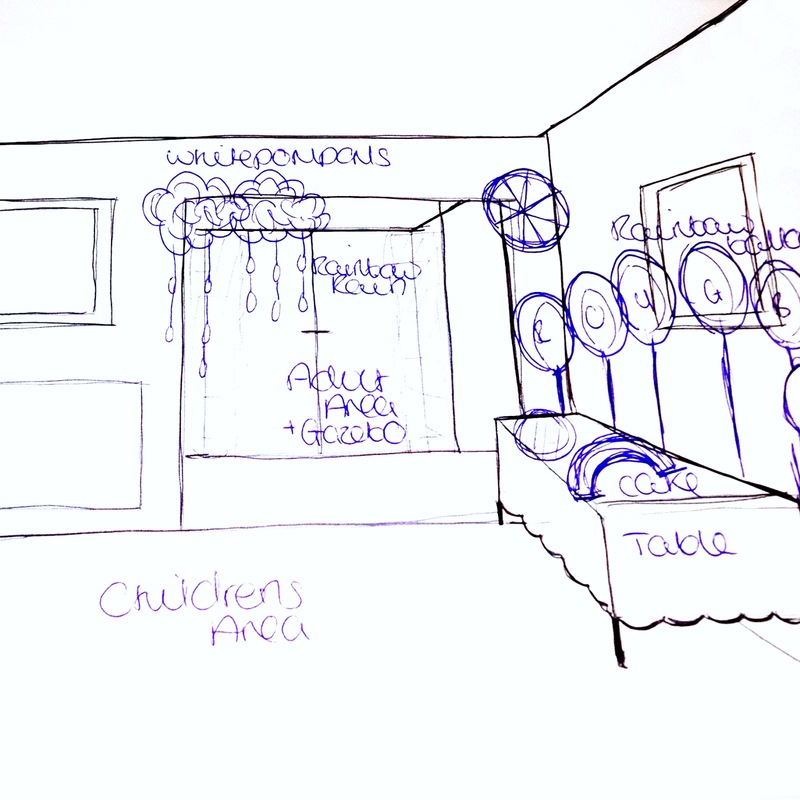 They have thousands of designs to choose from and often you can contact the designers direct if you would like a small change to colouring or layout. They also have the tools you need to customise your choices or even design your own invitations from scratch. I love the different paper options and that invites all come with envelopes included in the price. 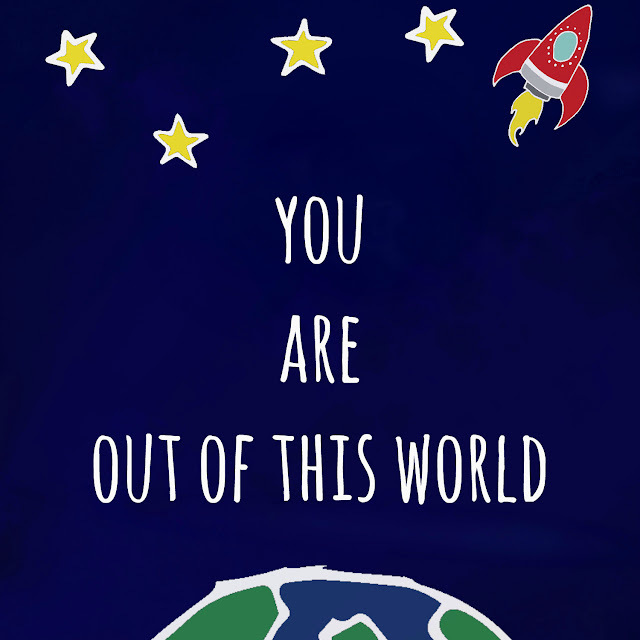 - If you don't have the skills to create your own invites, enlist the help of friends. 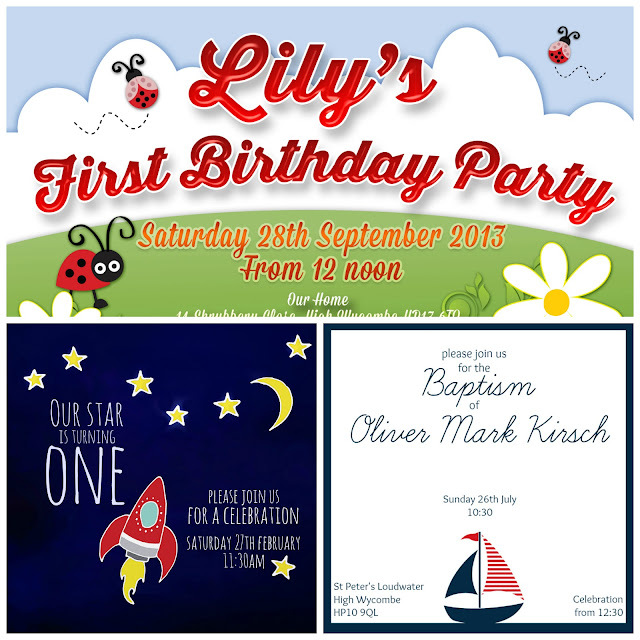 I worked with an amazing graphic designer a couple of years ago and he was brilliant at helping me with work party invites and even helped design Lily's first birthday party invitations. - Most sites tell you to send out your invites for a birthday party 3 weeks in advance but I actually send mine out over a month ahead of the event. This might be because I have really sociable friends whose diaries get booked up early but basically, the more notice you give people the better chance you have of them being able to attend. - Once I know how many people to expect I can decide on catering. It all depends on the type of event I'm having - a formal meal, buffet, BBQ, afternoon tea? Keeping guests fed and watered will mean that everyone has a great time. - I then decide whether I'll be doing the catering myself or organising a supplier. This may be tied in with budget as you can often save money by making items at home, especially for a child's birthday party. However, you will need to consider your time and stress levels on the day of the event. I once thought it'd be a great idea to make choux buns on the day of a party. Bad idea. - I then check with guests about allergies and let the caterer know as soon as possible. If you're doing your own food preparation, consider whether you can provide something appropriate. If you can then that's great but don't be afraid to ask your guest to bring something small or let you know what they can have. 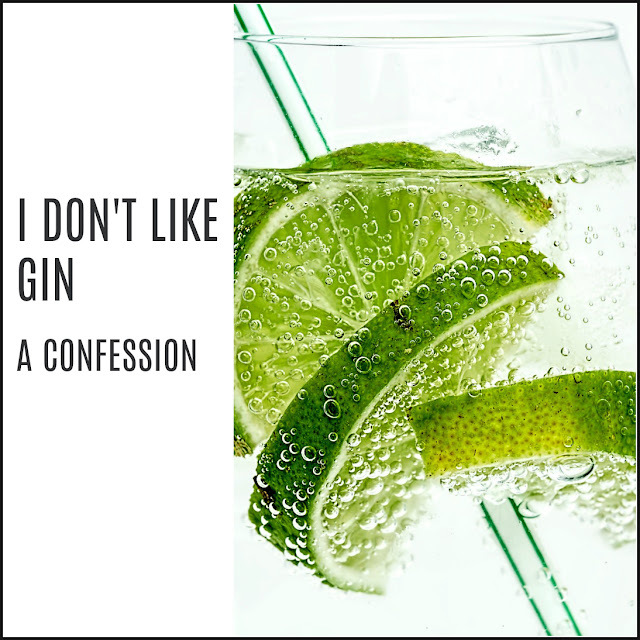 - I think it's better to stick to a couple of simple drinks options rather than buying loads to please everyone. Unless you have an unlimited budget - in which case, stock up on the alcohol (only part-joking). 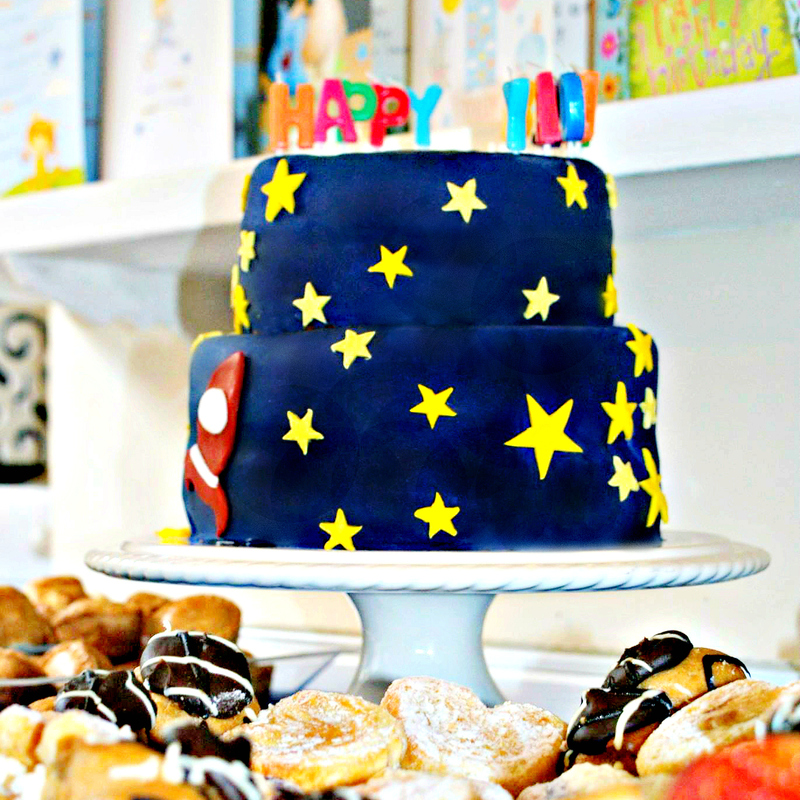 - You'll know, I'm a big fan of cake so I like to go big when it comes to celebrations. Pick a design to go with your theme and get baking, persuading family members or hiring a supplier! I wouldn't shun supermarkets either, there are some pretty decent options out there even if I prefer the taste of homemade sponge. I'm currently working on my cake decorating 'skills' - there's certainly room for improvement! - I genuinely believe that simplicity is the key when it comes to good party entertainment. Don't feel you have to schedule an activity or performance for every minute of your event. The best thing about parties is socialising and you want to maximise the opportunities for that. - For children, there is an endless list of possibilities. From hiring a DJ, magician or well-loved character to face painting, balloon modelling and puppets; there is an option out there for everyone. Personally, I'm a big fan of traditional party games. - If you're working to a tight budget then try and rope in some friends. A good friend of ours performed at our wedding - he's a street performer in Covent Garden by trade and his acts included sword swallowing , juggling with knives and squeezing his body through a tennis racket. - For adults you can still hire in entertainers (magicians seem to go down well, especially at cocktail events where they can mingle with the guests) but the most important thing to consider for all adult parties is music! Ensure you have a DJ or playlist set up and good to go. Trust me. 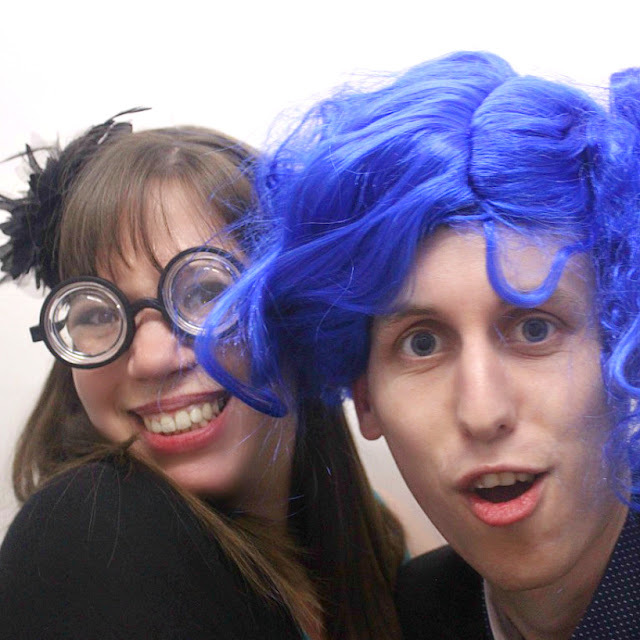 - I'm also a fan of homemade photobooths. Of course there are companies who can do this for you but it isn't hard to dig out some props, make your own and grab a camera. It's fun on the night and leaves you with great memories to keep. - I like to have a theme in mind for party decor, it helps me focus on what is needed and not go crazy buying tons of random balloons, bunting and streamers. - I'm not a great artist but I do find it helps me work out what I need if I sketch out the space. I also like to get measurements when I visit venues so I don't need to guess the sizes of things like tablecloths. - I always add at least an hour to my timetable for setting up the party. If it's at a venue then I like to get there as early as possible because I always find a couple of guests turn up early and I hate the idea of them not seeing it all perfect on entry - first impressions count for a lot! - You don't need to go over the top. It's a party, not Disneyland or the Moulin Rouge (unless of course, it's a Moulin Rouge themed party) and simple is incredibly stylish. - Decorations always look bigger when you're at home, don't overestimate their size at the venue. I found this often happens to me when making pompom displays and have recently started to get more/scale up in order to make sure they don't get lost in a bigger room. - Controversial but I'm not a fan pf party bags. They're (nearly) always filled with cheap toys and tons of sweets. That said, I do like the idea of children making something that they can then take home, or perhaps just giving away bags with some bubbles and a slice of cake. - Enlist help. As much as I like to think I can do everything on my own, I can't. So I like to make sure there are friends on hand to help out. I'm lucky in that I have a couple of friends who adore parties as much as I do. My best friend and partner in crime is Nola who is always my first call for all things party related but I have a load of other friends who I know I can count on too. - The one thing I'm particularly rubbish at is taking the time to enjoy the party. I think it's more important to look after your guests (that includes your colleagues if it is a work party) and make sure everyone is having a good time, has enough to eat and enough to drink. That said, do as I say, not as I do and enjoy the end result of all your hard work. - The bit I hate most about parties is the aftermath. After all the fun and games it's always such a let down to face the tidying and washing up. It's just as important to have people to help clear away as it is set up - many hands make light work! - Last but not least - say thank you! As much as it is nice to be appreciated, it is nice to appreciate everyone who has helped you pull off such a fun party. Thank them and send them home with cake/alcohol/chocolates. What are your top party planning tips? Do you love it or loathe it? Interesting to know how you plan and arrange events. Being a planner I have arranged many events and latest being my nephew’s first birthday. Searched online and booked one of local iconic venues in Atlanta. Invited everyone and had a lovely event.